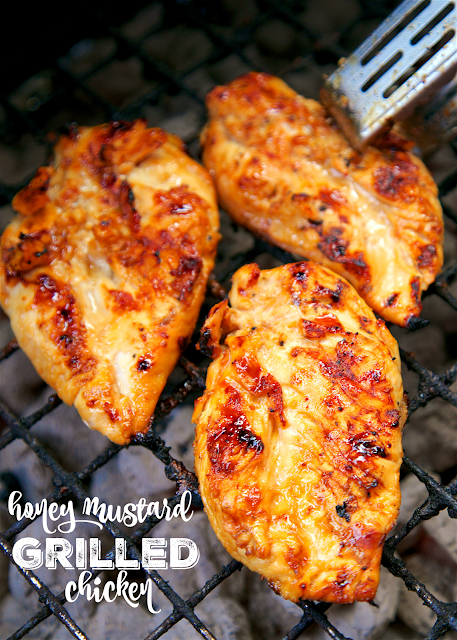 Honey Mustard Grilled Chicken - only 5 ingredients in the marinade! Honey, dijon mustard, lemon juice, soy sauce and garlic. SO simple and delicious! Everyone cleaned their plate! Can also use the marinade on pork. 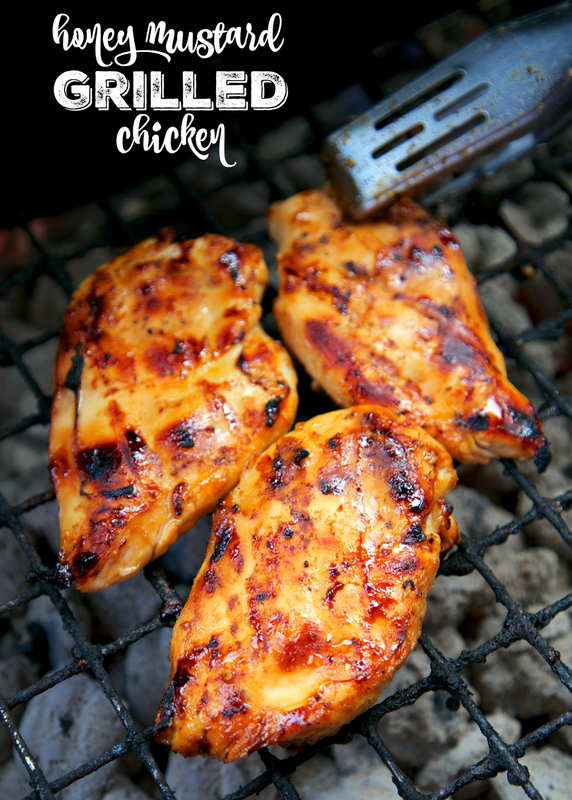 Easy grilled chicken recipes are are go-to recipes during each spring/summer. I usually mix up the marinades and let the chicken hang out in the fridge all day. It gives the chicken ton of great flavor. 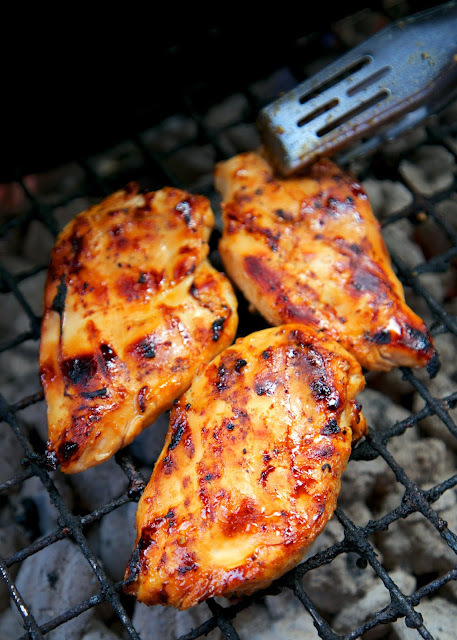 My tip for grilling perfectly cooked and juicy chicken - pound the chicken to an even thickness. We put the chicken in a ziplock bag and use a meat mallet to pound out the thicker hump. This helps the chicken cook evenly and not dry out. This eliminates the thinner part drying out while you are trying to get the thicker end cooked. This Honey Mustard Grilled Chicken quick and easy. We loved all the flavors! We've actually made this several times and have never been disappointed. Sometimes I will double the recipe for leftovers during the week. This Honey Mustard Grilled Chicken is great sliced up on top of a salad or chopped up with some veggies in a quesadilla. Give this a try! I promise it will be a hit! Combine honey, mustard, lemon juice, soy sauce and garlic. Pour over chicken. Refrigerate at least 2 hours. Prepare grill. Remove chicken from marinade. Place on grill and cook for 12 to 15 minutes, until no longer pink. Made this last night- baked it in the marinade instead of grilling and it was amazing!